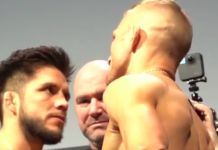 UFC bantamweight champion Cody Garbrandt and top contender TJ Dillashaw, who will battle in the co-main event of UFC 217 this November 4, share one of the most sizzling beefs in MMA. 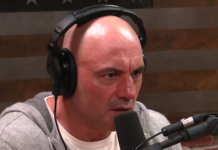 This beef began when Dillashaw left Team Alpha Male, where Garbrandt still trains, to pursue other opportunities. 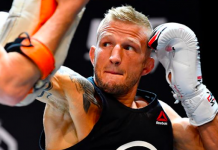 In the opinion of Garbrandt, this is a move Dillashaw likely regrets every day. 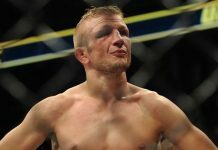 While Dillashaw didn’t agree with Garbrandt, he did admit that his career hasn’t gone quite the way he envisioned. 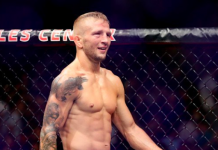 From Team Alpha Male, Dillashaw migrated to Colorado, where he trained at the new Elevation training facility. 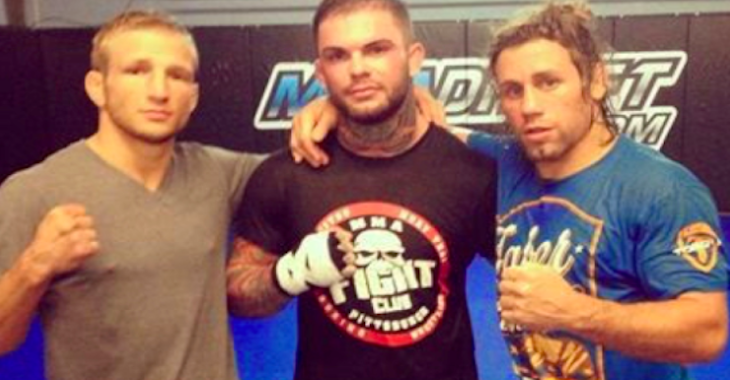 Now, he’s sharpening his tools alongside Cub Swanson in Southern California, where he hopes to start his own gym. 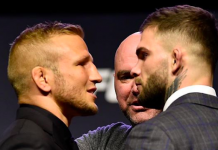 Do you think TJ Dillashaw really regrets leaving Team Alpha Male, or is Cody Garbrandt just talking trash? Join the debate in the comments section!